Bundesliga | Stuttgart: Welcome back to the Bundesliga! Stuttgart: Welcome back to the Bundesliga! 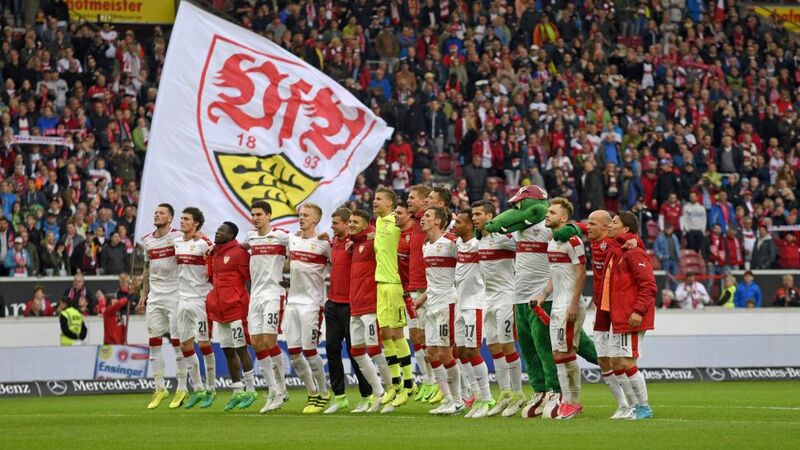 Bouncing back into the Bundesliga at the first time of asking is no mean feat: congratulations, Stuttgart! Founded in 1893, Stuttgart are one of Germany's oldest, most successful and most storied clubs. Located in southwestern Germany, in the prosperous state of Baden-Württemberg to be precise, VfB (Verein für Bewegungsspiele – Athletic Club) are have won the Bundesliga three times (1984, 1992, 2007) and the DFB Cup on three occasions (1954, 1958 1997). Nicknamed Die Schwaben (The Swabians), Stuttgart play their football in the 60,449-seater Mercedes-Benz Arena, the stadium name paying homage to the city's automobile industry. The club also boasts a thriving youth academy: seven of the 24 members of the most recent Germany squad had been involved in the club's youth set-up (Bernd Leno, Joshua Kimmich, Sebastian Rudy, Mario Gomez, Timo Werner, Sami Khedira, Antonio Rüdiger). Watch: Stuttgart's Top 10 goals this season! Talented youngsters remain prominent in the club's current squad: all born after 1995, Timo Baumgartl, Benjamin Pavard, Josip Brekalo, Julian Green Anto Grgic and Ebenezer Ofori have all played important roles this season. Coach Hannes Wolf has blended a fine, versatile squad from the young talent at his disposal, relying on older heads such as Alexandru Maxim, Christian Gentner and Simon Terodde to steer the club through tougher times. Comfortably the top-scoring side in the second tier with 64 goals in their 34 matches, Stuttgart have played fine football this season, threatening particularly from the wide areas.